Sanaa (AFP) - Saudi Arabia, which is leading a bombing campaign against Shiite rebels in Yemen, pledged Saturday to cover the entire $274 million in humanitarian aid sought by the United Nations for conflict-torn Yemen. The UN says hundreds of people have died and thousands of families fled their homes since the air war was launched on March 26. And border skirmishes have now killed seven Saudi security personnel, the most recent a soldier on Friday. Fighting and air strikes in Yemen over the past two days have left 130 people dead, according to medics, military and tribal sources. Overnight, 52 people were killed, including at least 27 people who died in the southwestern city of Taez from air strikes and in clashes between loyalists and the Iran-backed Huthi rebels. Saudi King Salman ordered the aid pledge following a UN appeal Friday for $274 million (253 million euros) in emergency assistance for the millions affected by the war. The kingdom "stands with its Yemeni brothers" and hopes for "the restoration of security and stability", the state Saudi Press Agency said. UN Humanitarian Coordinator Johannes Van Der Klaauw said Friday that "ordinary families are struggling to access healthcare, water, food and fuel -- basic requirements for their survival". Aid has only trickled into Yemen, largely because of Saudi-led coalition restrictions on its airspace and ports. On Friday, the Saudi-led coalition spokesman said two cargos of supplies donated by Qatar and the United Arab Emirates had reached Aden and the Red Sea city of Hodeida, via Djibouti, across the narrow Bab al-Mandab Strait. Brigadier General Ahmed al-Assiri said "other cargos will follow in the coming days" in a "sea bridge to get aid to the Yemeni people". He reiterated that shipments must be coordinated with the coalition, saying a Kenyan flight had tried to reach Sanaa without clearance and been forced to land on the Saudi side of the border. Aid group Doctors Without Borders separately said "more than 70 tonnes of medical material" arrived by plane in Sanaa Saturday. The rebels swept into the capital in September from their highland stronghold and then advanced south on the major port of Aden, forcing President Abedrabbo Mansour Hadi to flee to Riyadh. Residents said explosions and gunfire overnight shook Taez during fighting between Hadi loyalists and the insurgents. Nineteen rebels, four soldiers from a unit loyal to the president and four other pro-Hadi fighters were killed, a medical source said. There were also clashes Friday night in districts of Aden, residents and security sources said. Pro-Hadi forces backed by air strikes held off rebels battling for the past week for control of Aden's refinery, 15 kilometres (nine miles) west of the city. Assiri said Saturday that a Saudi soldier was killed the day before in fighting in the southwestern Saudi region of Najran, along the Yemen border. The spokesman added that the coalition had launched more than 2,000 air strikes on Yemen since the air campaign began. The bombing campaign was launched amid Saudi fears the Huthis would shift Yemen into the orbit of Iran, the Shiite rival of the Sunni kingdom. 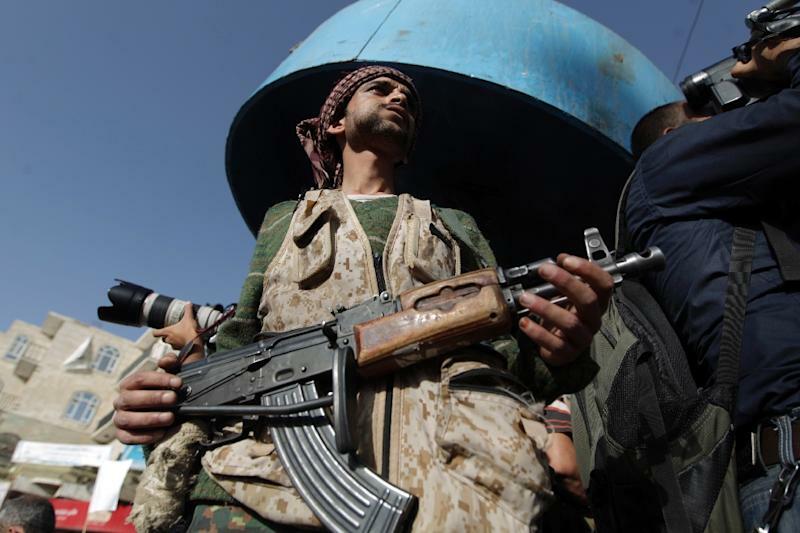 Tehran is a key ally of the Huthis but denies arming the rebels, who have allied with army units loyal to Ali Abdullah Saleh, the Yemeni president forced out by the 2011 uprising. On Saturday, Iranian President Hassan Rouhani said his military should not be seen as a threat in the Middle East. The presence of Iranian naval ships "in the Persian Gulf and the Gulf of Aden is intended to ensure the security of neighbouring countries and maritime traffic", Rouhani said at an Army Day ceremony. On Friday, Tehran submitted a four-point Yemen peace plan to UN chief Ban Ki-moon. It calls for a ceasefire and immediate end to all foreign military attacks, the urgent delivery of humanitarian and medical aid, a resumption of political talks and the formation of a national unity government. 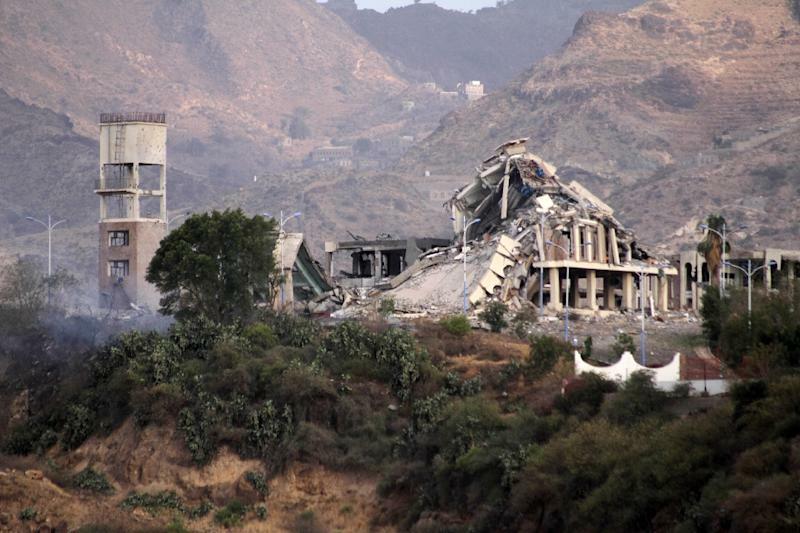 Al-Qaeda has taken advantage of the air war on the Huthis to expand its influence in Yemen. 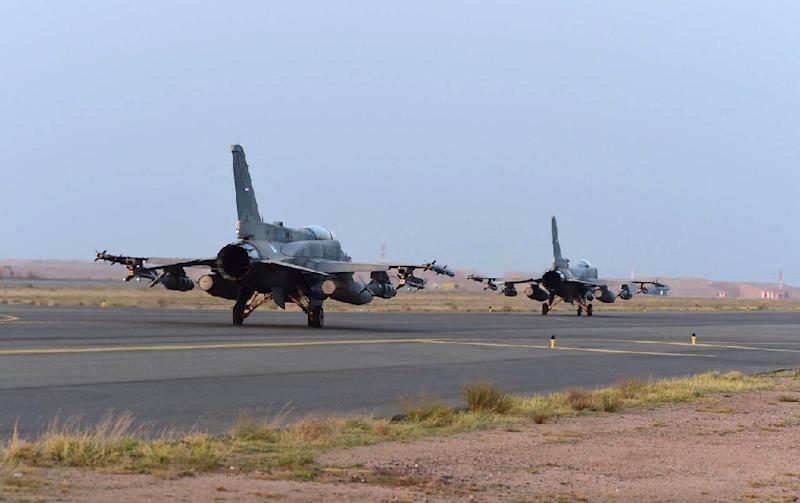 On Friday, it overran an army camp in the southern province of Hadramawt, a day after seizing the airport in provincial capital Mukalla. Tribesmen, key players in the impoverished Arabian Peninsula country, also seized a major oil terminal in Hadramawt on Thursday.